All these sites are for a School District that has a central control system with a $10,000 dollar weather station on it. 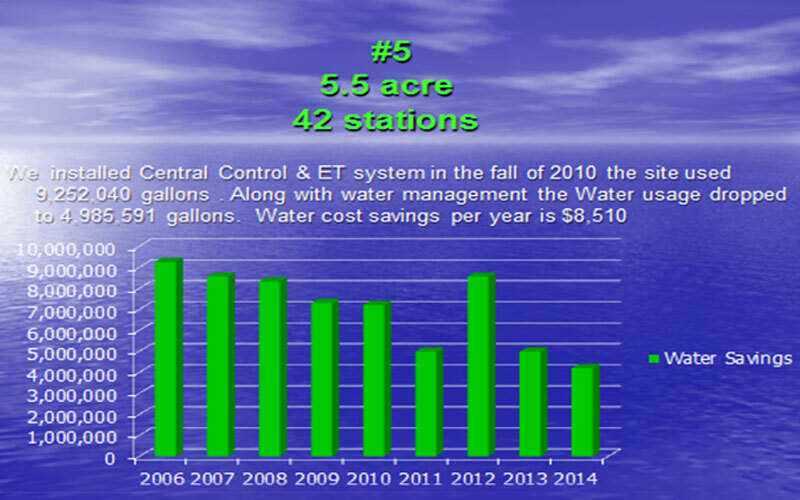 As you can see ET central control does a great job saving water but after using both technologies. 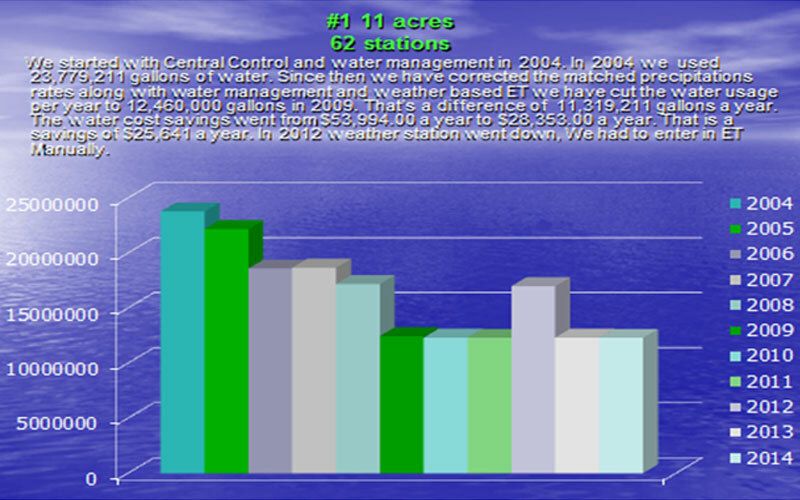 I have found that while both do a good job Soil moisture technology does an even better job. 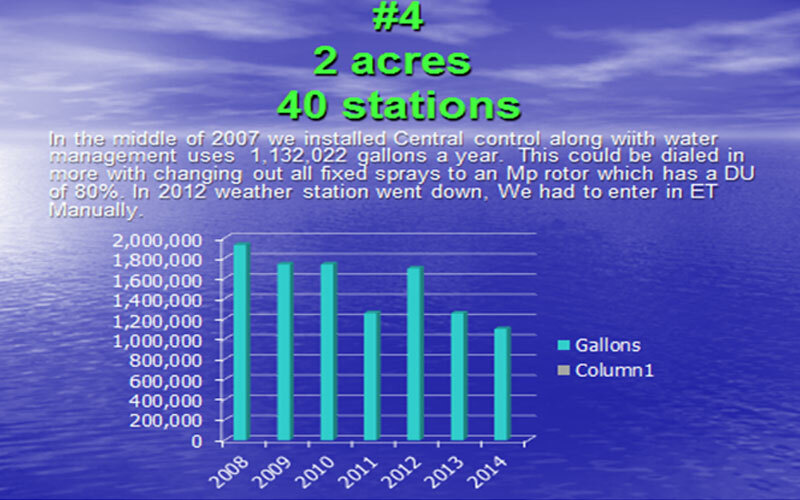 If you look at my project #1 on the home page you’ll notice that during the month of August in 2014 that the majority of the station on soil moisture technology never watered or only watered 8 times in the whole month. That’s pretty awesome. 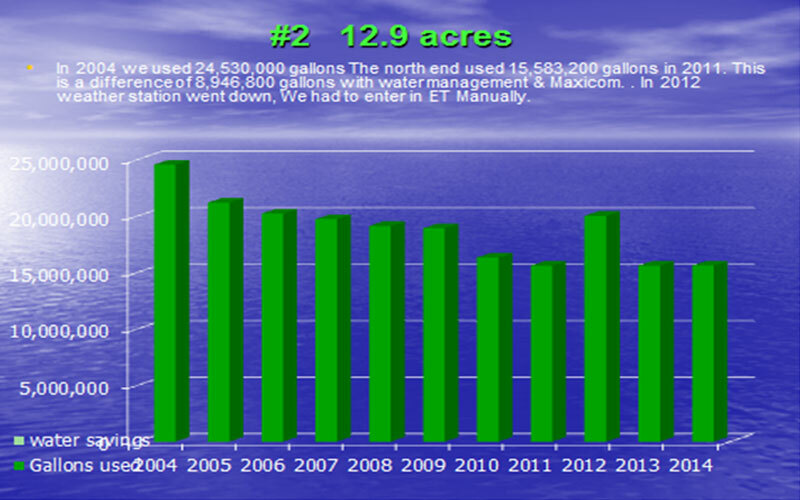 Below is a graph showing what these ET sites did. Both sites are in the same geographic location. 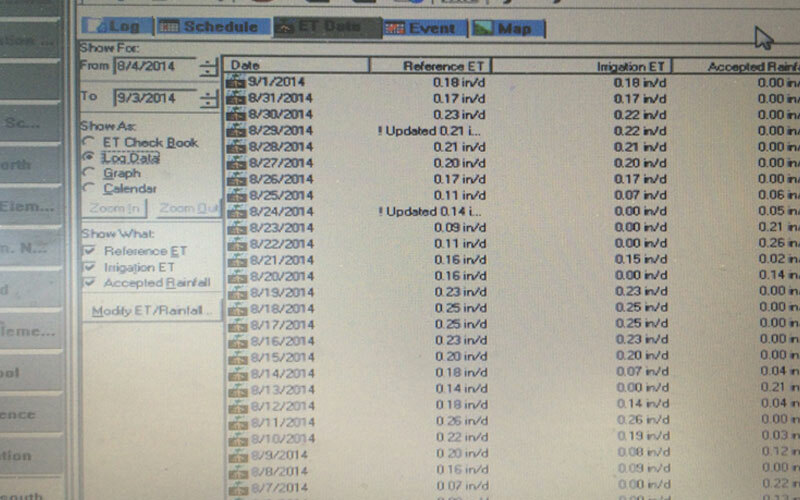 But if you look at the line that says Irrigation ET you’ll notice it only says 0.0 8 times. 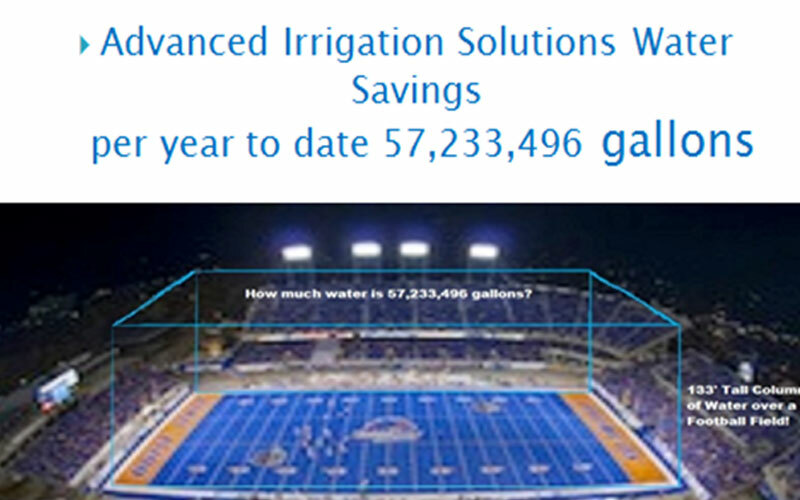 Meaning it only shut off the irrigation 8 times, while it did reduce the water use some days. 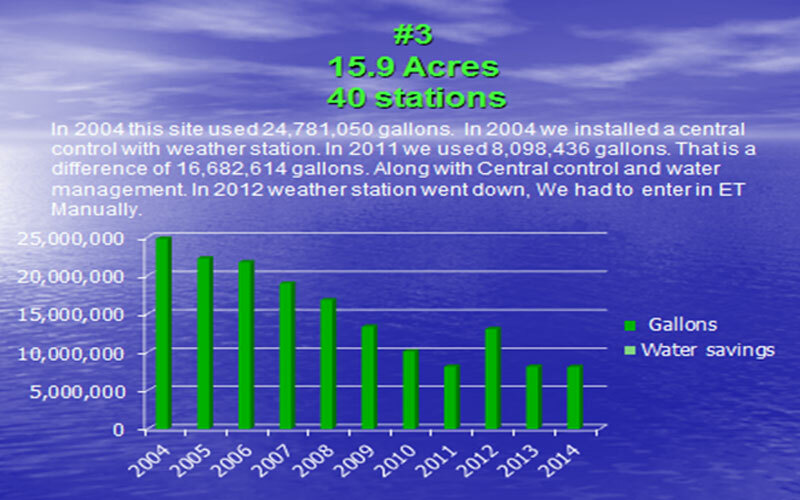 Most of the soil moisture stations didn’t water for 23 days. I’d say that’s a big difference in the technologies. 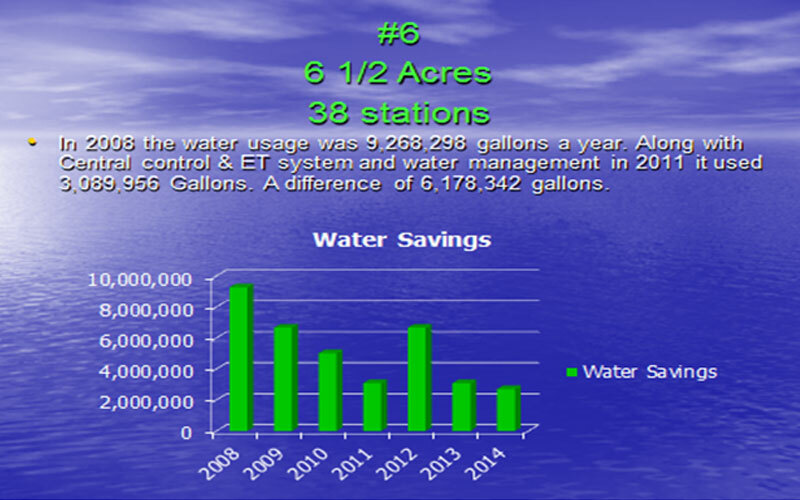 Keep in mind each type of technology Soil moisture& ET has good and bad systems in both. I believe in this Comparison I have compared the two best in each technology.